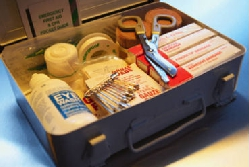 This is the most popular of our range of First Aid training courses. People applying for this course do not need any prior experience in First Aid. In order to pass the exam, participants need to be able to perform CPR and the recovery position and successfully pass a multi-choice examination.